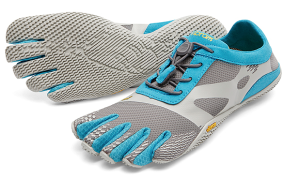 Vibram Five Fingers manufactures minimalist shoes for men, women, and children that are ideal for outdoor activities like running, hiking, sailing, kayaking, and more. The shoe’s thin, flexible soles are meant to mimic what it’s like to be barefoot and are thought to be a more natural, protective choice of footwear. With Big Apple Buddy’s personal shopping service, you can now buy direct from the Vibram online store anytime, anywhere. Vibram produces many different styles of shoes, based on different outdoor activities. The Men’s Trek Ascent LR is a minimalist shoe designed for hiking tough terrain. The grippy outsole makes sure you always maintain your balance, and the leather/hemp upper construction will protect your feet from the outdoor elements. Even better, if your shoes get dirty, just throw them in the washing machine and let them air dry. They’ll be good as new! The Women’s KSO EVO can be worn through many different outdoor activities, and the reinforced upper and speed lace allows you to easily slip them on. The zig-zag soles of the shoes provide extra grip and traction, helping you keep your balance, and add flexibility in all directions. These minimalist shoes will leave you feel more free and light during your outdoor activities while also providing your feet with ample protection from the outdoor elements. This shoe comes in a variety of colors, so choose your favorite! 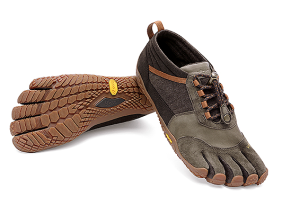 Unfortunately, the USA Vibram online store only offers international shipping to select countries. However, Big Apple Buddy, your personal shopper, can help you buy products direct from the official USA Vibram online store and ship them to your doorstep, no matter where you are in the world. If you would like to buy from the USA Vibram online store, simply let us know which items you would like to order (by filling out the form below) and we’ll get back to you with a free international shipping quote within 24 hours!